How much is Issa Rae Worth? 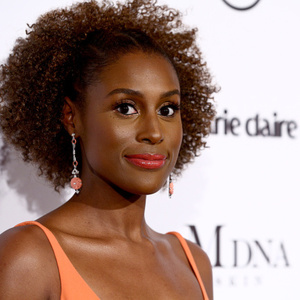 Issa Rae net worth and salary: Issa Rae is an American actress, writer, producer, director, and web series creator who has a net worth of $4 million. Issa Rae was born in Los Angeles, California in January 1985. She started out starring as J on the TV series short The Misadventures of Awkward Black Girl from 2011 to 2013. She acted in or produced episodes of the TV series M.O. Diaries, The Couple, The Number, How Men Become Dogs, True Friendship Society, My Roommate the, and Instracurity. Issa Rae starred in the Pharrell Williams "Happy" video. She executive produced episodes of the TV series Little Horribles and The Choir as well as Inside Web Series. Issa Rae has also produced the TV series Black Actress, Roomieloverfriends, Head Cases, First, and more. Beginning in 2016 she has been the executive producer, writer, and actress on the TV series Insecure. In 2015 Issa Rae authored The Misadventures of Awkward Black Girl.